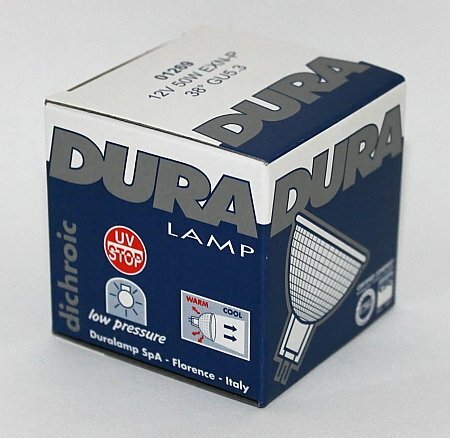 Equipped with axial filament and UV stop. Suitable for all common dimmers. Dim. Ø 51mm by 45mm, Axis 300 to 9.150 cd, cold light mirror with front glass. Lifespan: approx. 2,000 burning hours, depending on the application.